Initially, I had the idea to make her a small suitcase. But one day, after the school, she asked me if it was possible to order a pencil kit (same than Eline). I took this opportunity to make and offer her the object she really wants. The kit is done with coated fabric, big enough, (25 cm) and doubled. 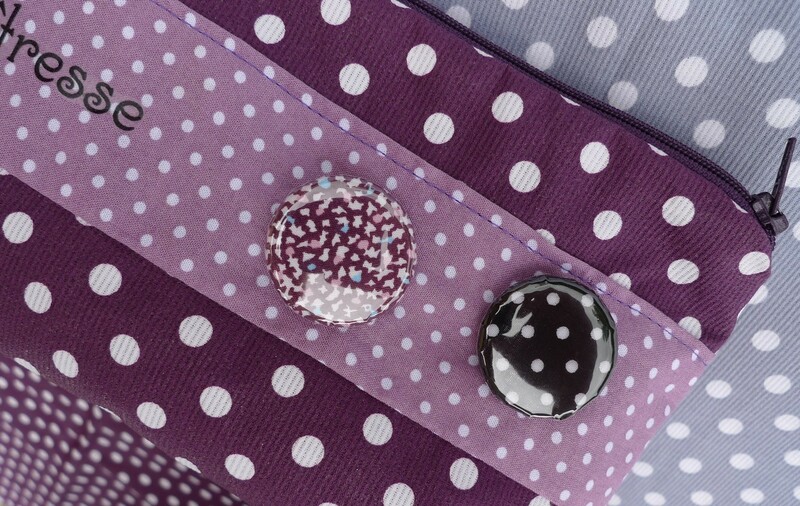 Two small badges remind the fabrics used in plum tones. 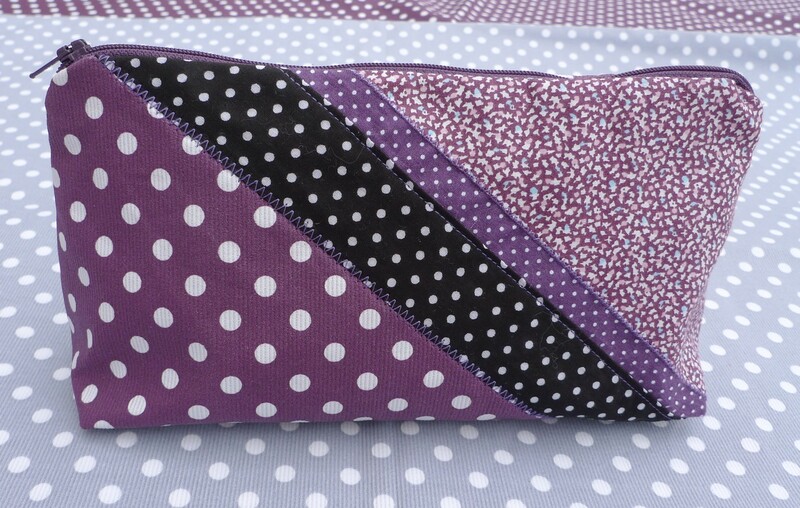 In the back, a small patchwork of pretty fabrics. 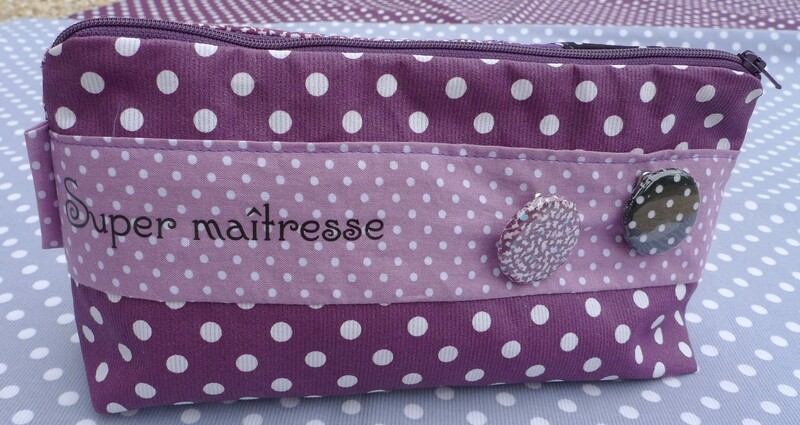 Ce contenu a été publié dans accessories, Adults, for storage, for the school, Other... par lolirire, et marqué avec en. Mettez-le en favori avec son permalien.